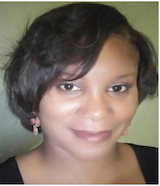 Angela M. Griffin is a Registered Tax Preparer with the Internal Revenue Service. Angela has a Master’s Degree in Educational Leadership, a Bachelor’s Degree in Accounting, and experience preparing individual tax returns since 2004. She believes in providing excellent customer service.